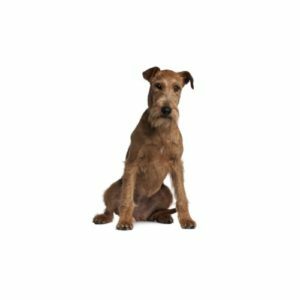 The Irish Terrier is a smart, quick dog that quickly adapts to new situations. He’ll guard his home and family members with determination and pluck. This breed is great with children when raised with them and is deeply loyal to his owner. Pups require firm boundaries so they will grow into respectful adults.